Building Your Bar Tool Box | Valet. An expert's guide to the essentials every man needs on hand. 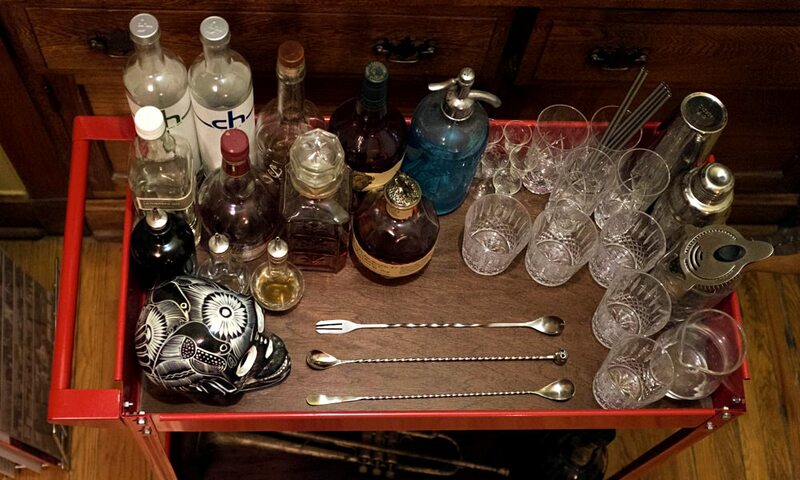 Bar tools are the equipment that let you interact with the liquids you use to make cocktails. I think how you use them and the ones you choose to use are personal choices. It has always been one of those "learn the rules so you can break them" kind of things. Some places like you to use certain jiggers because that's how they have always done it. In this day and age of bartending, it would be foolish to show up to work and use anything you aren't comfortable with. I doubt jockeys show up to the race and get blindsided with a saddle they have never used before. I am going to walk you through my tools and why I use them and where you can get them. Personally, there is one choice in jiggers—the classic 2-1 Japanese style jigger—and no other one really measures up. Though I do also enjoy the OXO angled style for exact pours of straight spirits when behind the bar but at your house, just pour from the bottle for a neat pour of whiskey. One word. 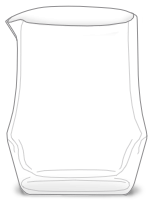 Koriko. They are the best. One full use and you will understand. They do need a little bit of a break-in period to have them fit as snug as you want but that just means you get to make more cocktails. 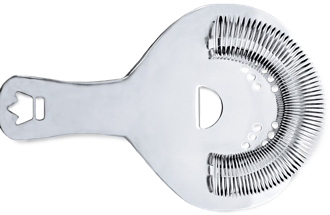 My favorite bar tool of all has to be the julep strainer. Originally used in julep style drinks to keep ice and roughage out of the drinker's mouth, we've adapted to using them to strain out stirred drinks. These days, I don't use one at work much, but I do use one at home because I like the weight and the look. This fancy hawthorne style suits all my straining needs and I'd recommend it above all others for getting your drink into a glass. Ask any bartender how many Yarai glasses they've broken. We never forget the number. They're expensive and they're fragile. I personally use these short squatty glasses from Table Ware. I love its heft and I've never broken one. They are beautiful. However, you don't really even need one to get started making drinks. If you read Dave Arnold's Liquid Intelligence, he recommends just using a metal shaker tin because they handle temperature fluctuation better (more consistent drinks/less breakage) and he's usually right. While we are stirring, you'll likely need a spoon. In a pinch, a finger or a chopstick will work wonders but if you are putting together your bar tool box, snag a plain teardrop spoon that is about a foot or so long. It doesn't have to be fancy. Look to spend no more than twenty bucks. These are everywhere. I would advise against those bar spoons with the trident ends as cool as they look. There's no need to lose an eye over your martini ... unless, of course, it was ordered shaken. For glasses, I go straight to Etsy or local antique shops. I now have the best set of rocks glasses I've ever owned thanks to vintage glass shopping. 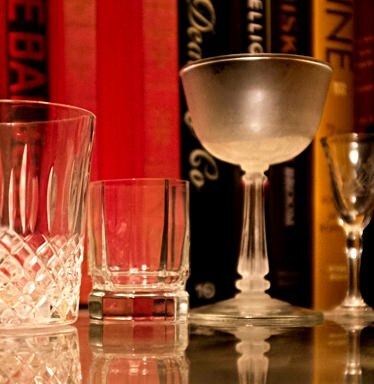 Watch out for lead crystal decanters and avoid storing liquid in them for any real amount of time like port, whiskey or brandy. Pretty lead crystal champagne flutes however should not have bubbles in them long enough to cause more damage than the wine itself. 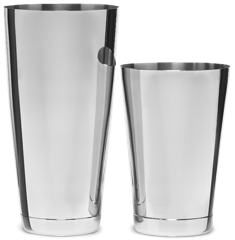 I did snag some highball glasses from Umami and I love them for long drinks. Use these rad metal straws with a Tom Collins to really show that you know what you are doing. Coupes or dessert glasses are everywhere. Even old sherbert cups can play well for drinks. You just have to dip into those antique stores. I could not recommend it more for finding high quality glassware at a bargain. Luke Andrews is a writer, bartender and the beverage director at The Whistler in Chicago, IL. Serious about your cocktails? Then you need a proper chill. Three original takes on some classics for your fall drinking pleasure.